!! OMG, gossip: Russian police arrest activists protesting Chechnya !! 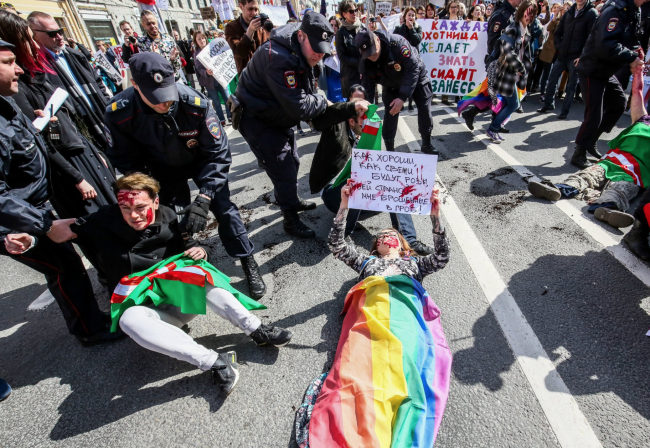 1 Comment on "OMG, gossip: Russian police arrest activists protesting Chechnya"
Instead of fighting criminals and terrorists, Putin is fighting peaceful homosexuals. This is all you need to know about today’s Russia.